Sorry option "Metallic" for this product is currently out of stock. 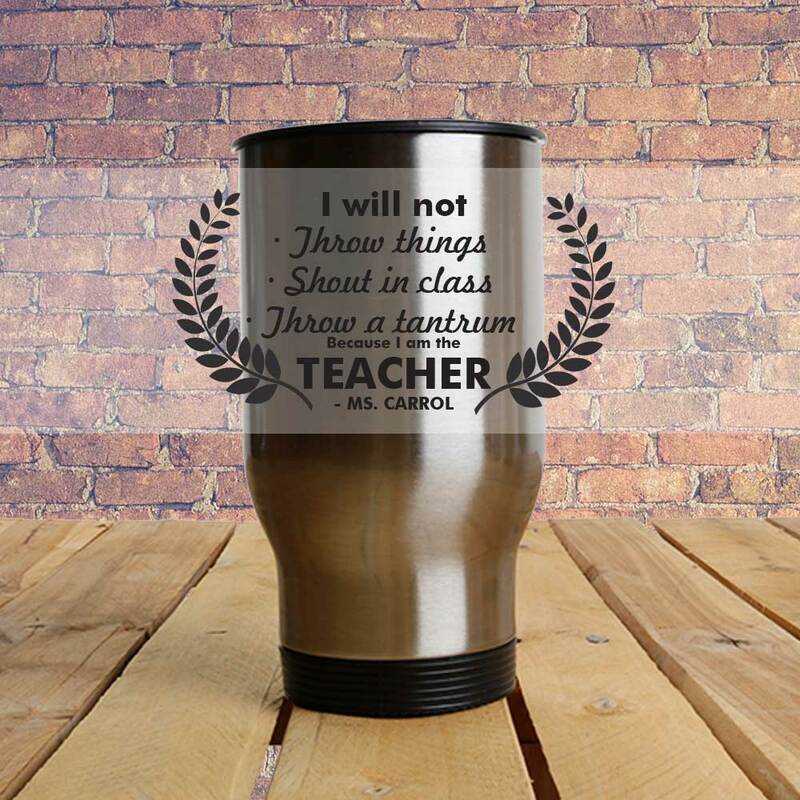 Coming to the end of the school year and your not sure what to get your childs teacher? 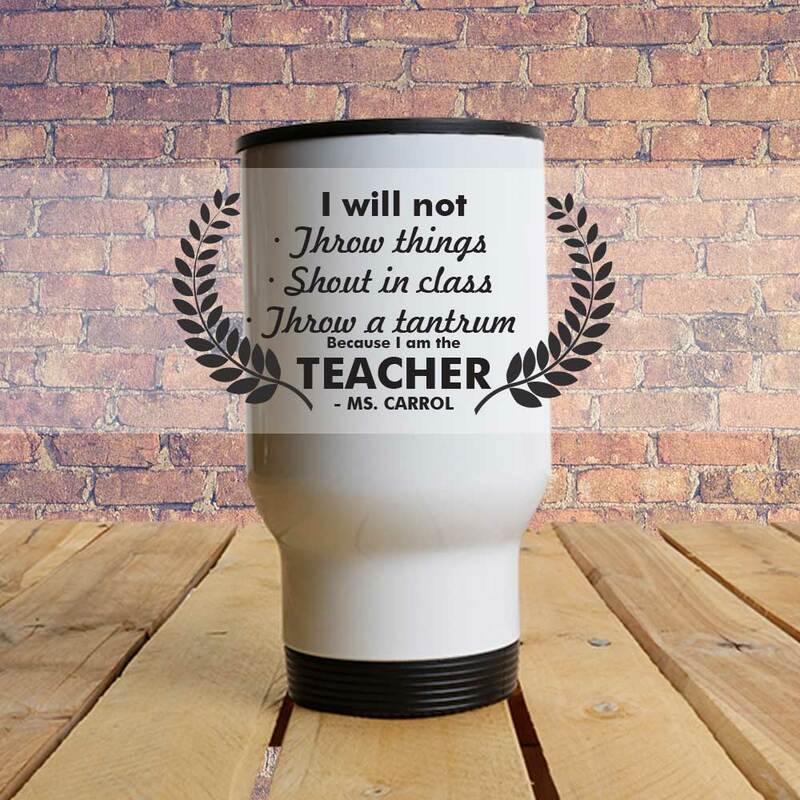 How about something to help them for cope with the next semester of children - a travel mug for their coffee. Simply state the name of the teacher and we will personalise it to your exact specifications. The image is wrapped around the travel mug and heat pressed around the outter casing. Note: Cover image is not true representation of product. Please see GIF below for a better understanding of how it may look.